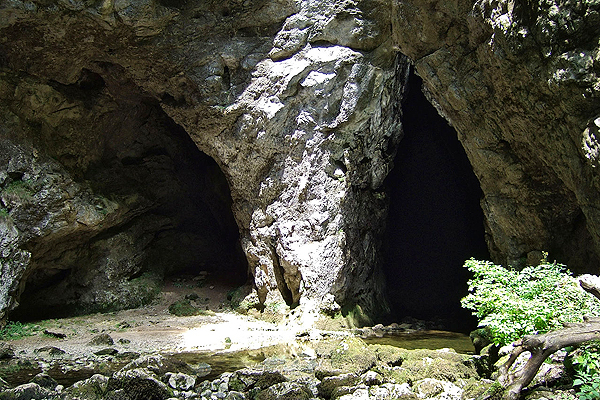 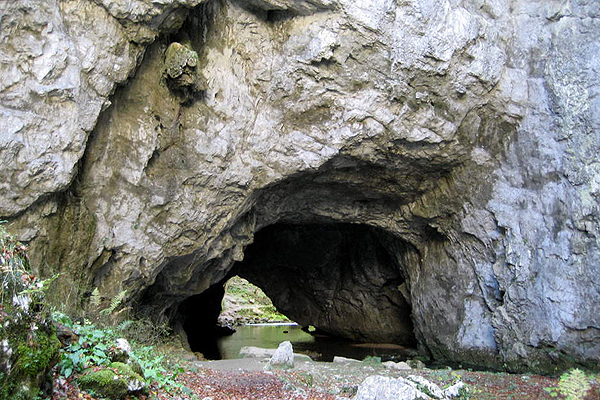 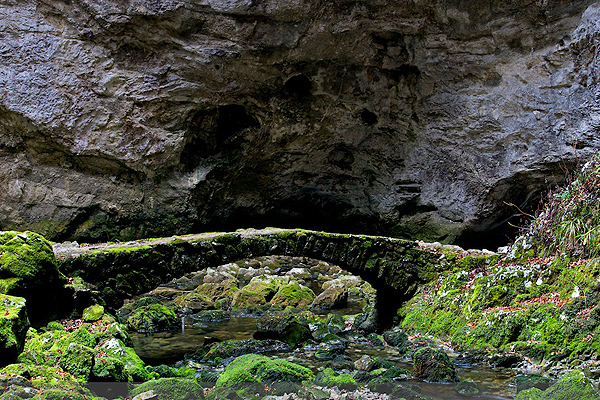 Protected since 1949, Rakov Škocjan is the oldest landscape park in Slovenia. 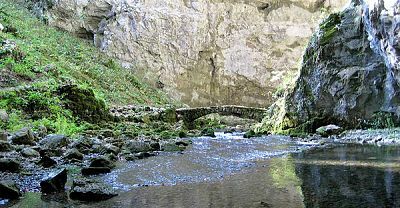 It was first mentioned in the 15th century, with the first noted description of the valley in 1689. 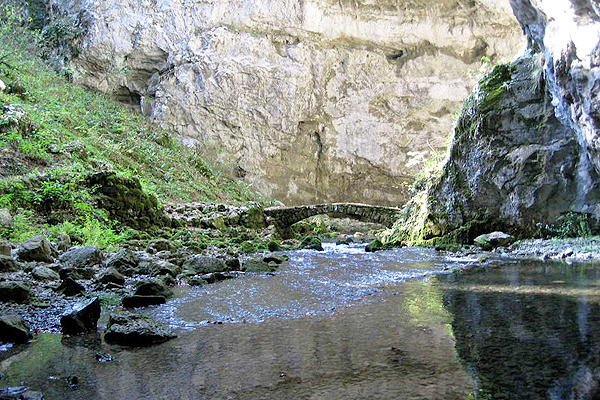 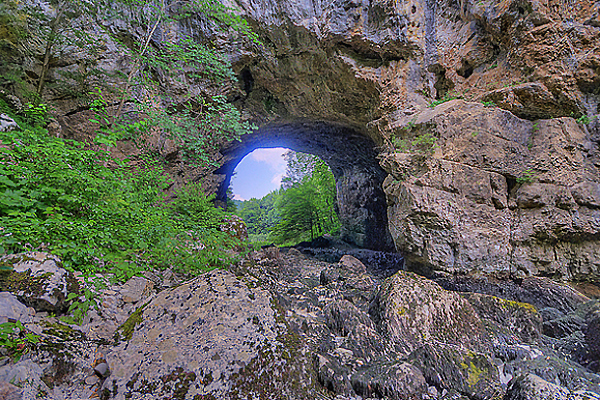 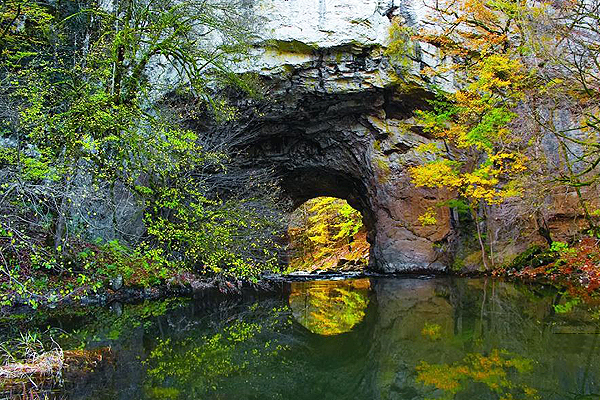 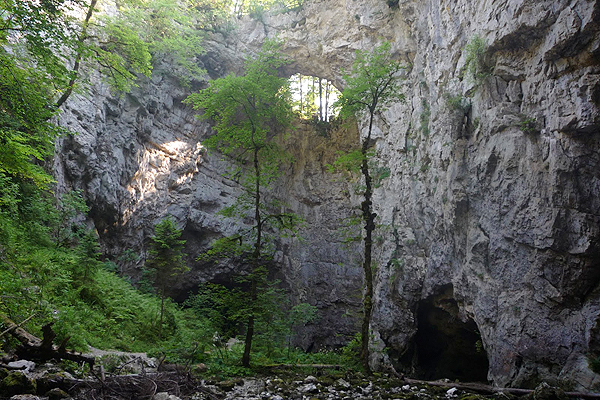 Partly formed by the collapse of a cave roof and the River Rak, the area is abound with Karst phenomena. 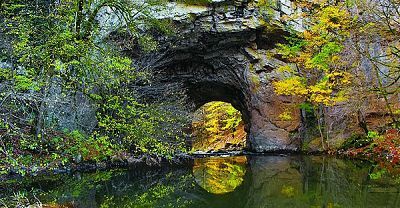 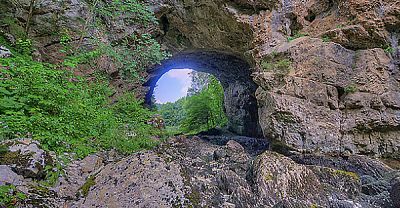 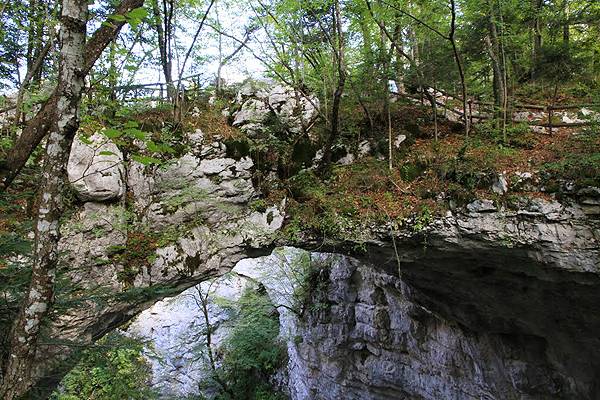 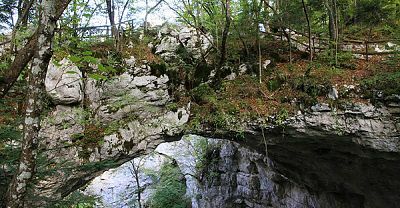 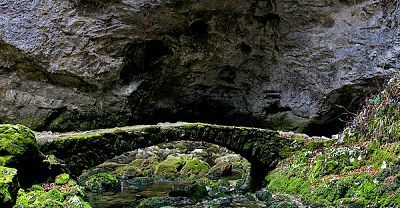 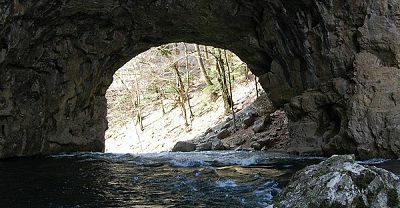 The two most noticable formations are the two natural stone bridges, 'little bridge' and 'big bridge', separated by around 2.5km. 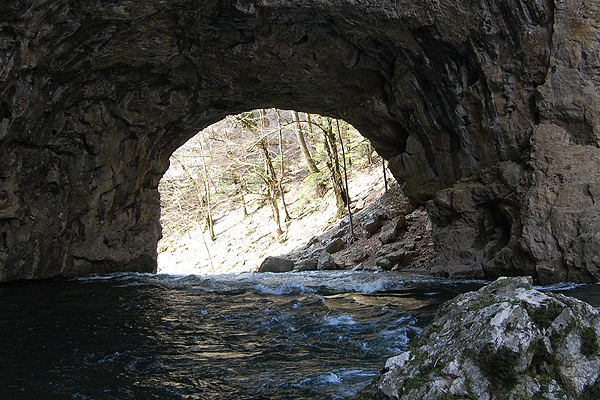 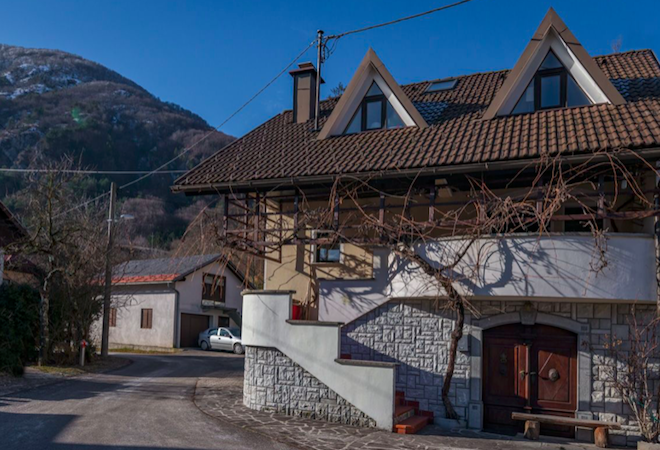 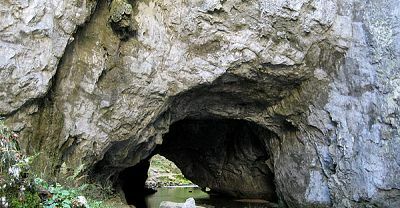 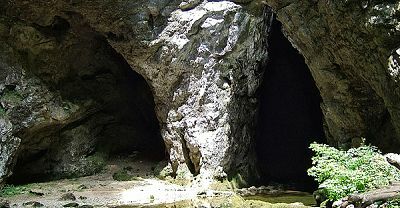 Rakov Škocjan itself is around 6km long and situated between the Planinsko and Cerkinca field. 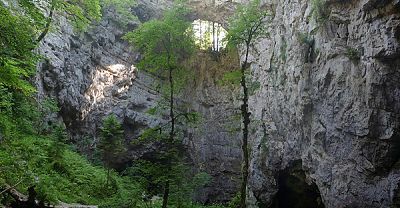 After WW2 when the area was still under Italian occupation, barracks and a circular road were constucted as other plans where made for the caves.